Currently, new project calls are published at www.refugees.wien/zuschuesse: These project calls aim to provide grants for the creation of health promotion materials as well as mental health support under the CORE project. The project calls aimed to provide grants for the implementation of different project ideas as well as literacy courses in first languages ​​for refugees as well as for the development and implementation of offers which teach refugees basic knowledge in dealing with and working with information technologies. Interested parties now have the opportunity to submit their concepts and apply for grants for implementation. As part of the CORE project, grants for projects that contribute to the objectives of the CORE project can be awarded. 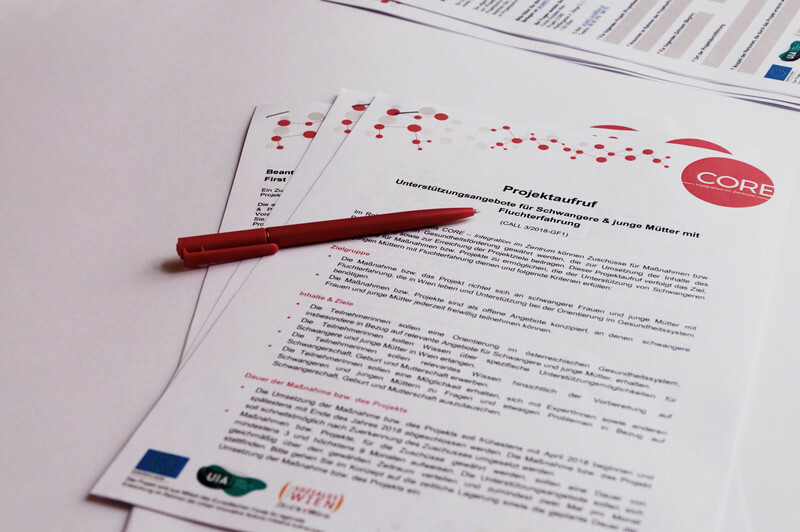 The grants are financed by the European Regional Development Fund as part of the Urban Innovative Actions Initiative and by the Vienna Social Fund. All information about the current project calls including deadlines can be found HERE.